To support the evaluation of a software application’s source code in the most objective, accurate, reproducible and automated way possible. To provide an efficient method for managing Technical Debt. The method is the property of inspearit (formerly DNV ITGS France), it is licensed under the Creative Commons Attribution-NonCommercial-NoDerivs 3.0 Unported license. 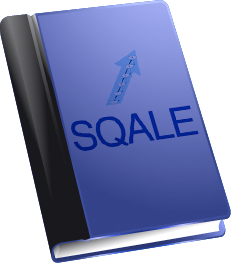 Organizations and software editors can freely use and implement the SQALE method. The SQALE method relies on 9 fundamental principles and contains 4 main components which are: the SQALE Quality Model, the SQALE Analysis Model, the SQALE indices and the SQALE indicators. © 2019 SQALE. All Rights Reserved. ⎮ Sitemap ⎮ DESIGN : LOBI.